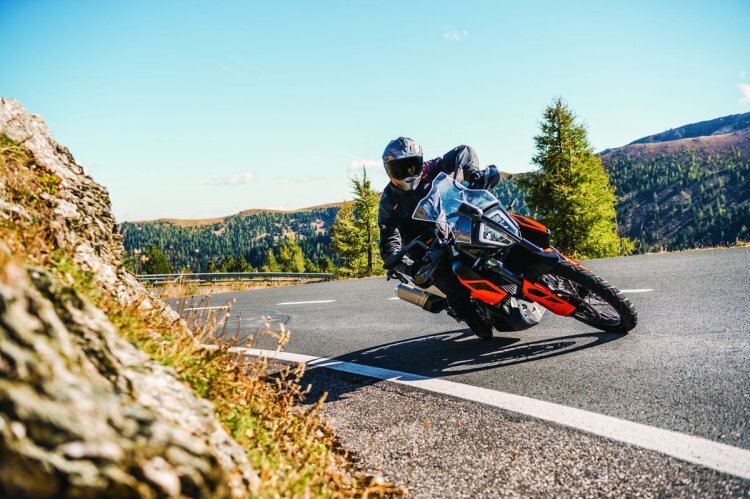 While we are awaiting announcements about the KTM’s 790 cc motorcycles for the Indian market, a new report by Asphalt and Rubber claims that the company could already be working on an 890 cc twin-cylinder engine. The news comes from the company’s CEO, Stefan Pierer who revealed the plans in an interview. The upcoming 890 cc twin-cylinder motor would be a rebored version KTM's existing 799 cc LC8c engine that powers the 790 Duke (pictured). The new 890 cc, parallel twin motor would be a rebored version of the company’s existing liquid-cooled parallel-twin LC8c engine that currently has 799 cc displacement. The bigger motor would deliver higher performance numbers too. For reference, the existing parallel twin makes 105 PS of maximum power at 9,000 rpm and 86 Nm of peak torque at 8,000 revs. The 890 cc motor would take the battle closer to the likes of Triumph Street Triple RS and the Ducati Monster 821. A prototype motorcycle or at least the new 890 cc engine could be displayed at the 2019 EICMA motorcycle show. The new motor could take a while before it is employed on a motorcycle and we could see a production-spec version in late 2020. Apart from the 890 cc motor, KTM is also working on a 500 cc engine with a parallel-twin format. Pierer had said in an interview that the Austrian brand would develop a new 500 cc twin-cylinder powered motorcycle that would be manufactured by Bajaj Auto in India. The new middleweight would compete against the Japanese products in the same segment. Meanwhile, the current LC8c, which propels the 790 Duke and 790 Adventure, could be seen on more products. The source report suggests that we could see a street-focused supermoto, most likely to be christened KTM 790 SMT that would compete against the likes of Ducati Hypermotard 950 and Aprilia Dorsoduro 900. The 790 SMT would feature 17-inch wheels on both ends to achieve a road-biased character. After the 790 Duke and the 790 Adventure (pictured), the 799 cc LC8c engine could be seen on more KTM products. The motor would reportedly power the road-focussed supermoto, the 790 SMT. Back home, KTM is reportedly preparing to introduce the 790 Duke and the 790 Adventure in the Indian market this calender year. The 790 Duke India launch is expected to happen in April 2019 while the adventure model could arrive in the second half of the year. Both motorcycles would come to in India via the CKD route while KTM would try to localise a few parts to keep the products at competitive price levels.